3rd Battalion, Royal Australian Regiment. Sergeant Healy of Brisbane saw service at the end of World War 2, and went on to serve with the British Commonwealth Occupation Forces in Japan. He then served in Korea with 3 RAR and was killed in action during 'Operation Woodbine' on 7th March, 1951. He is buried in the Tanggok War Cemetery at Pusan, South Korea. His medals were kept by his mother for many years in a large matchbox and she was one of the first Australian next-of-kin to visit the cemetery after the Armistice. 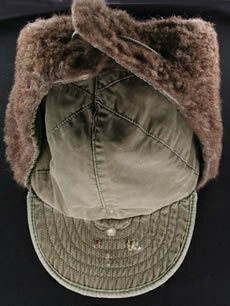 This item of head-dress, of US military origin, was issued to Australian troops as the Australian army had very little cold weather gear. Equipment was obtained from both US and British sources. These binoculars were made in Occupied Japan. They were purchased by Sergeant Healy whilst he was a member of BCOF. 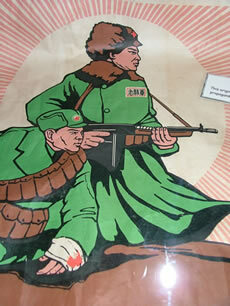 This original poster is an excellent example of Chinese propaganda material produced during the Korean War. Harry Smith SG MC was posted to Korea in 1954 but that was changed to 2RAR Malaya and he served two years in the Malayan Emergency as 9 Pl C Coy Commander 1955-57. 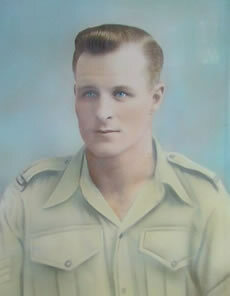 Keith Payne VC OAM served with his unit in Korea between April 1952 and March 1953. He served in Malaya in 1965.